The intent of this article is to bring to light those side effects that a massage therapist may encounter. They include but are not limited to muscle aches or weakness, tendon problems, muscle cramps and arthralgia. via Chasing the Pain. This recent post in Massage Today brought something to light that I wanted to share: in some cases, medication can cause changes in your body that are perceived as joint discomfort or muscle pain and achiness. In the case of this article, doctors listed joint pain as one of the most common side effects of statins. If you’ve recently started taking statins, or noticed a change in your muscles or joints since starting statins, changing cholesterol medication or altering your dose, consult with your physician about it. While massage may be able to help the achiness or joint discomfort by bringing additional blood flow to the area or loosening muscles that have tightened because of the discomfort, the root cause of the pain, the medication, will still affect the body. In this case, massage cannot rid the body of the pain and discomfort. The lesson here is that whenever you make any change in medication, whether it’s the prescription, the dose, the class of drug or the frequency with which you take it, listen to your body. Make note of changes that can’t be accounted for by other means. Consider that achiness, soreness, neuropathy and other sensations within the body might be side effects from changes to medication. Always, always, consult with your physician and pharmacist in these cases. They are the knowledge experts in these areas, and will be able to help you determine a course of action. 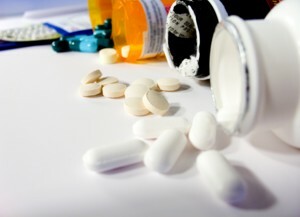 For massage regulars, keep your massage therapist up to date on changes to medication or dosage. Massage therapists, ask questions about medication changes if sudden, unexplained muscle or joint pain or discomfort becomes a common complaint. And for those of you currently on statins, just remember to keep in touch with the body, and remember that even small changes can effect the body as a system. Be aware and listen to the body. I have been taking 80 mg of Lipitor nightly for 5.5 years. In the last year i have had Joint Pain regulorly. i was wondering, is there any proof that Lipitor causes Joint Pain?